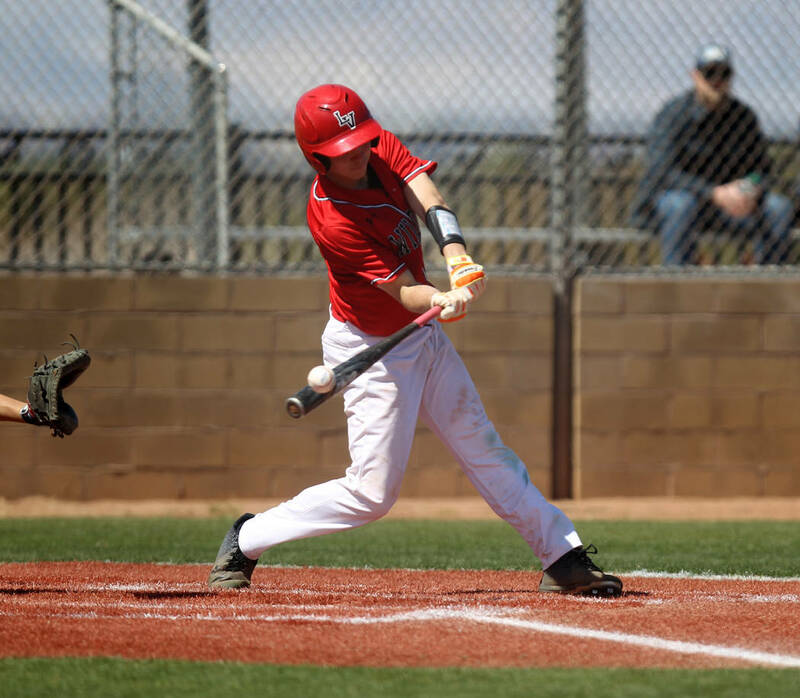 Trace Everett’s single in the bottom of the seventh inning capped a five-run frame to help the host Wildcats steal a 10-9 walk-off victory from Rim of the World (California) in the Blazer Spring Bash. Trace Everett was not scheduled to play in Monday’s game. 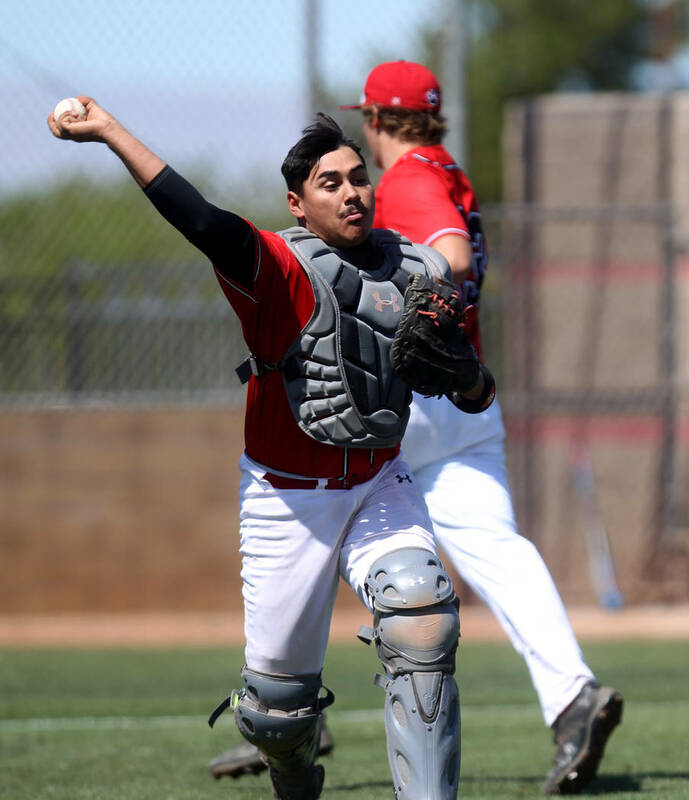 But the Las Vegas High junior catcher was forced into action in the seventh inning as a defensive replacement after the starter was ejected. And he surely wasn’t scheduled to get the game-winning hit. 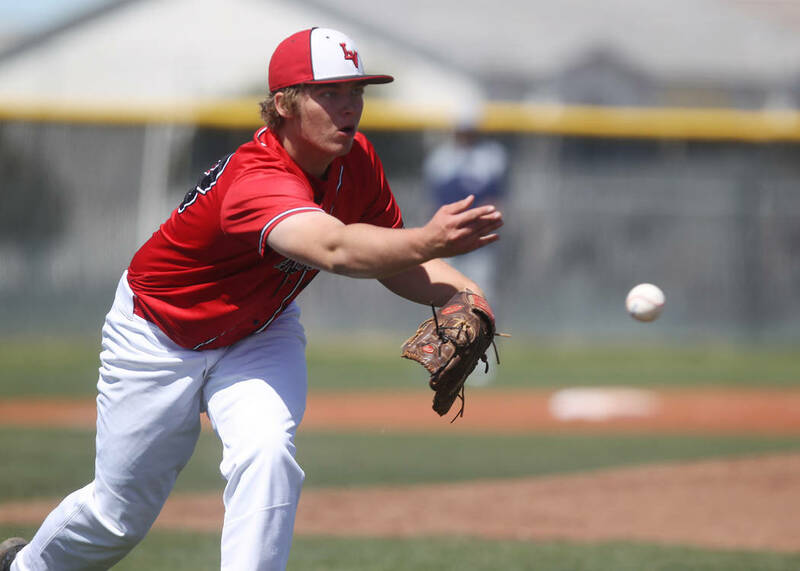 Everett’s single capped a five-run seventh inning to help the host Wildcats steal a 10-9 walk-off victory from Rim of the World (California) in the Blazer Spring Bash. It was exciting for the players and fans, but not so much for Las Vegas coach Sam Thomas. He was visibly upset after the rally. Until the bottom of the seventh, it wasn’t the cleanest game the Wildcats (5-6) had played. They only made one error, but it led to a run. They had five wild pitches, including one on a strikeout that allowed Rim of the World’s No. 9 hitter to reach in the third inning. He later scored on a botched rundown. 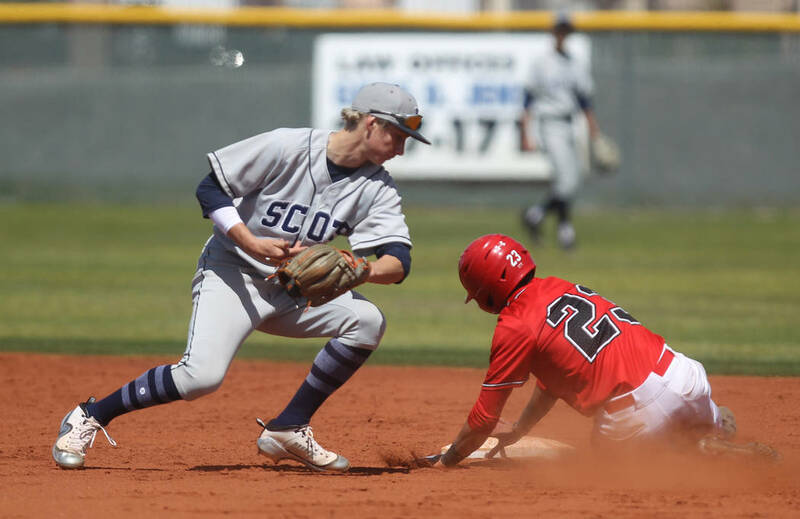 Miscommunication also allowed the Fighting Scots to steal home in the seventh. But Las Vegas fought back when it mattered most. After a lead-off popout in the sixth, the next six Wildcats reached base. Kevin Verduzco collected his third hit on a two-RBI single, then scored his third run on Joel Lindahl’s third RBI to tie the game. Jose Martinez was 2-for-3 with a double, a walk, two runs and two RBIs for the Wildcats, and Lindahl had a double. Brandon Culmo started for Las Vegas, and although he was charged with five runs (four earned), he only allowed three hits and fanned six in five innings. 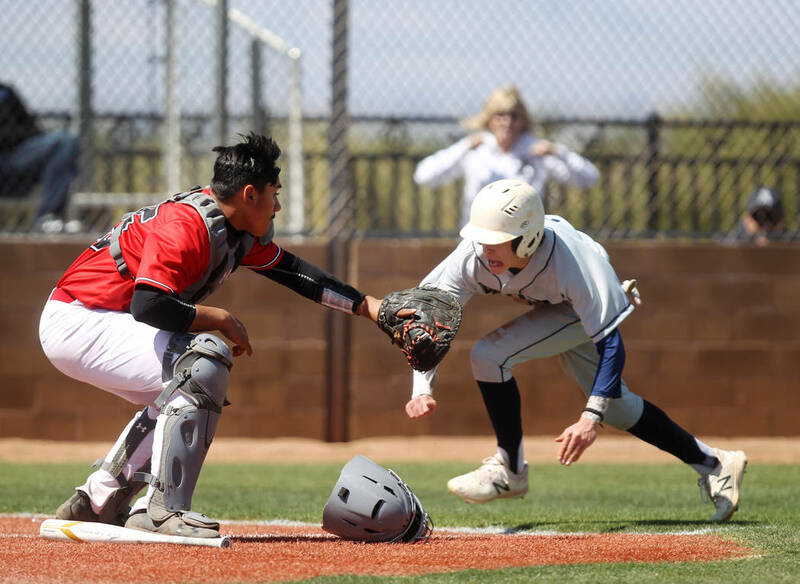 — Basic’s Nick Thompson scored on a sacrifice fly by Kyle Turner in the top of the eighth in a 2-1 win over Chatsworth (California) in the Blazer Spring Bash at Durango. 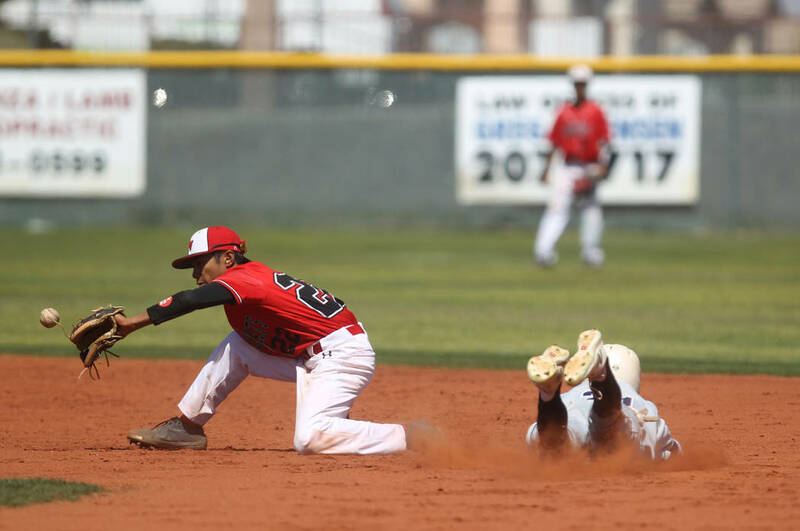 — Cimarron-Memorial’s Derek Decolati homered and drove in three runs in an 18-2 win over visiting Locke (California) in the Blazer Spring Bash. 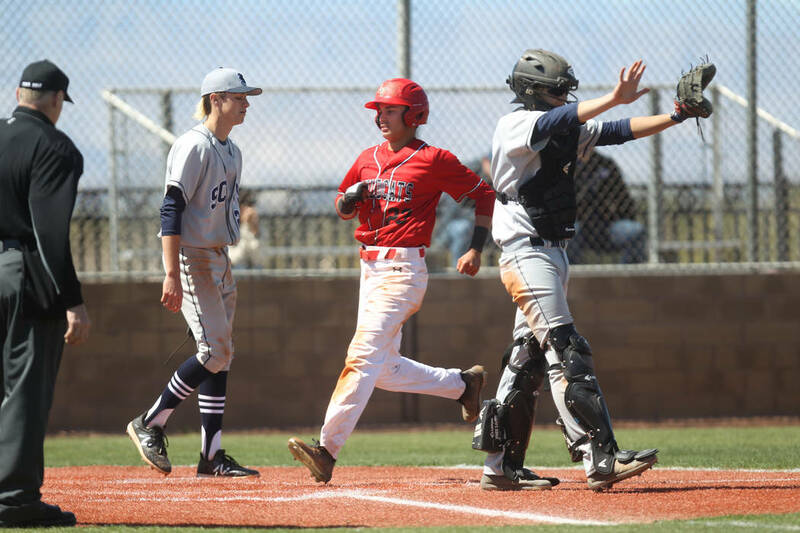 — Chaparral’s James Cobian was 3-for-4 with three runs and two RBIs in a 5-3 win over Clark in the Cowboy Classic semifinals. 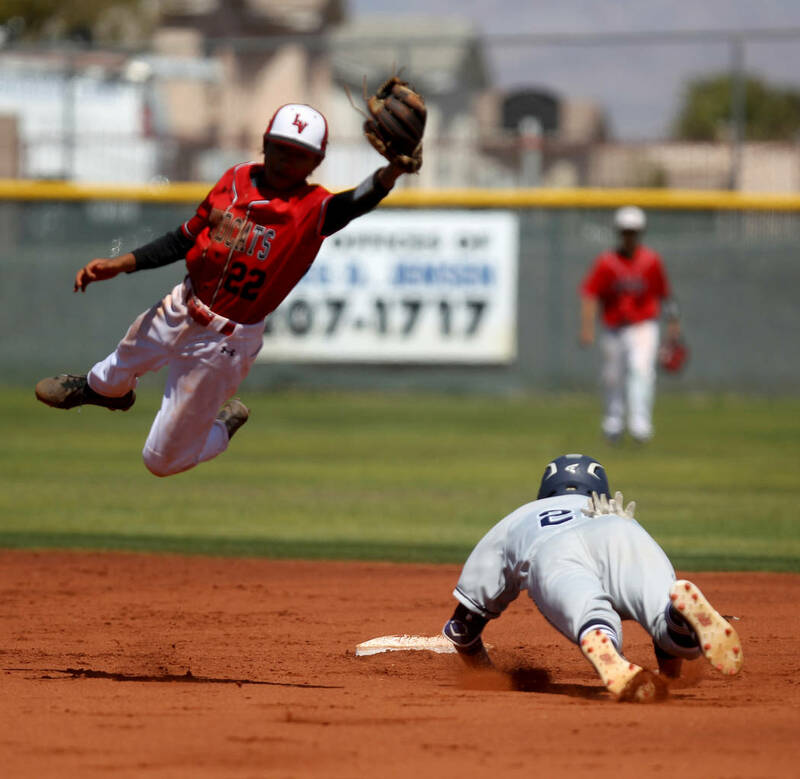 — Arbor View’s Roxanne Ines went 4-for-4 with a triple, a home run and two RBIs in a 13-3 win over Green Valley in the Mountain Lion/Blazer Classic at Sierra Vista. — Green Valley’s Katrina Ramos was 3-for-3 with a double and a home run in a 16-1 win over Legacy in the Mountain Lion/Blazer Classic at Sierra Vista.